Atlantic Coast Holiday Park is offering a £50 off a 7 night break during September 2012. Contact the park direct who can make that reservation for you today over the phone.Atlantic Coast offers a great selection of modern holiday caravans to choose from, with each comprising a comfortable lounge, spacious dining area, gas heating and colour TV, fitted kitchen with utensils, bathroom with shower and comfortable bedrooms. All our prices include gas and electricity, and caravans are regularly replaced. 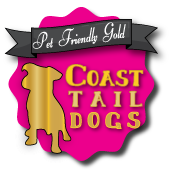 Bronze and Silver Caravans that are ‘pet friendly’. Bronze caravans sleep 4 people and come with Double Glazing, electric and plinth heating, TV, fitted kitchen, fridge, microwave, bathroom, shower and 2 comfortable bedrooms. The Silver Caravan has two bedrooms and can sleep 6 people. It comes with Double Glazing & Central Heating. NB: When making your booking, please inform the park of your dog’s breed as certain breeds are not allowed - limitations apply. DISABILITY FRIENDLY – The Park has a modern mobile home suitable for the elderly and some disabled customers. Features include wider doors, lower work surfaces, extra grab rails and ramped access. For further information about this caravan & the Park’s Access Statement, please contact the Park Reception.